Painter decided to stay at Purdue. 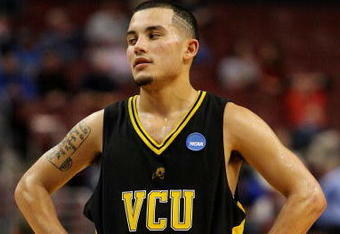 He signed a contract through the 2018-19 season. Other terms were not disclosed. 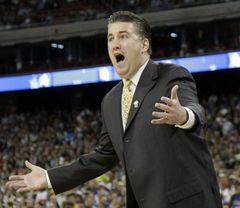 After a few days of anticipation for Purdue fans Matt Painter has finally made his decision to stay in West Lafayette as Purdue’s mens basketball coach. Purdue and Matt Painter agreed to a contract extension through the 2018-19 season, with $2.3 million guaranteed each year plus incentives for performance. Painter gave the Purdue faithful a scare after meeting with Missouri AD Mike Alden to discuss the commitment of the Athletic Department towards it’s mens basketball program. According to the Kansas City Star Missouri was offering Painter a 7 year $2 million contract. Purdue then countered with another offer making their intentions clear that they wanted Painter to stay in West Lafayette. Purdue didn’t help the situation for fans by releasing news that they contacted Greg Lansing of Indiana State. However, I think Purdue was playing the same game Painter was in a way. They made it known that they wanted Painter (Painter obviously was playing the market for more money) but Purdue also made it clear that they would move on without him. I think Purdue’s Athletic Director and other Athletic Department Officials played this right. They made a statement making it clear they “WANTED” Painter but didn’t “NEED” Painter. Some reports and rumors claimed that Painter would leave for more money and a greater commitment towards winning a National Championship from the Missouri Athletic Department. I’m sure many fans, I know one for sure, that may be angry with Painter for even considering leaving Purdue. Purdue fans have something to cheer about knowing that their coach Matt Painter is in West Lafayette until 2018-19. I’ve thought about loyalties and staying faithful to a program but let’s get real. Painter was making $1.3 million a year. A sound living. But, there’s more to it. You have to think about other resources being given to Painter and his staff. Another blog I read made a good point. I can’t remember exactly how he stated this but it went something like this. Let’s say a Purdue assistant (who is predominantly in charge of recruiting) is getting paid $90k and is providing for his family and has to travel as much as they do. Some would say 90K is a lot of money and I would agree. But traveling costs a lot of money. If another program comes and offers this same assistant to do the same exact job(s) and pays them $150k, what would you do? I’m pretty sure any honest American would take the pay raise. I know I would. All in all I’m not mad at Painter. Personally, I think he wants what is best for himself, his assistants, his players, and the Purdue basketball program. To get that he needed a high level of commitment from the Athletic Department and when terms are released I think we’ll hear something about that too. Purdue has already started with a higher level of commitment towards athletics. They are currently in the process of constructing facilities that are top notch for their athletes. 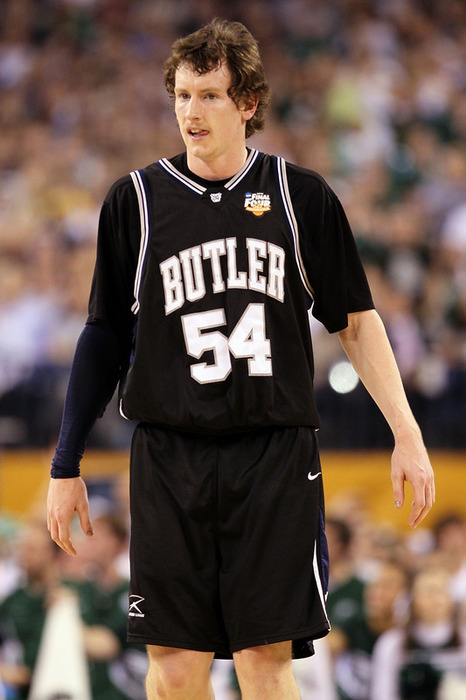 The best news of all to come of this is that Robbie Hummel will definitely be back for next season. 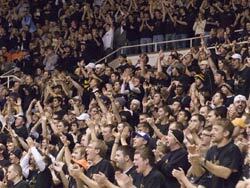 Purdue fans can still be excited and confident about their basketball program. 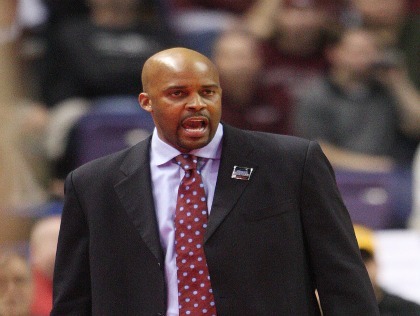 The Tennessee Volunteers announced today that they have hired Missouri State coach Cuonzo Martin. Tennessee’s Athletic Director stated, “Cuonzo is among the most promising young coaches in the game, and we are excited about the coaching ability, toughness and energy that he brings to our program”. Martin coached 3 seasons at Missouri State. His first season he won just 11 games out of 31. The next season his squad won 24 games and this past season he led Missouri State to 26 wins and the regular season Missouri Valley Conference title. Cuonzo also coached as an assistant under Gene Keady at his Alma Mater, Purdue University, before coaching at Missouri State. 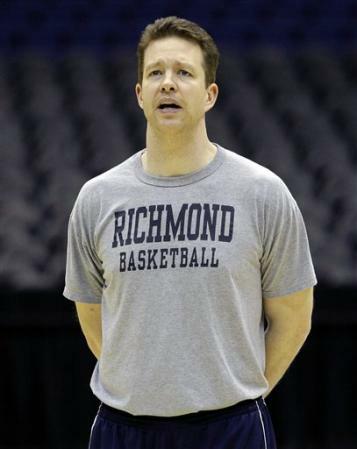 Martin was also the Missouri Valley Conference Coach of the Year this season. 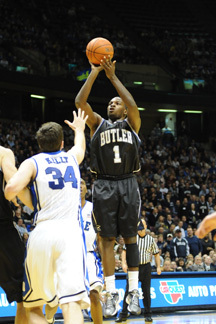 During his career at Purdue Cuonzo was known for his defensive presence and outstanding ability to hit perimeter jump shots. 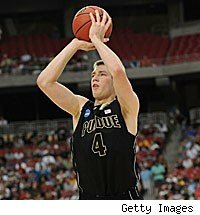 He left Purdue 4th all time in 3-pointers made with 179. Cuonzo then continued his career in the NBA and was drafted 57th in the second round where he shot 60% from beyond the arc. Cuonzo Martin makes the 5th Division I coach to have played or coached under Gene Keady. The other four coaches are Bruce Weber (Illinois), Steve Lavin (St. John’s), Kevin Stallings (Vanderbilt), and Matt Painter (Purdue). I wish the best of luck to Cuonzo Martin and the Tennessee Volunteers. I see a start to a beautiful relationship.